Karnataka Bank is currently trading at Rs. 111.35, up by 0.75 points or 0.68% from its previous closing of Rs. 110.60 on the BSE.The scrip opened at Rs. 110.35 and has touched a high and low of Rs. 111.70 and Rs. 108.20 respectively. So far 109712 shares were traded on the counter. The BSE group 'A' stock of face value Rs. 10 has touched a 52 week high of Rs. 171.65 on 06-Nov-2017 and a 52 week low of Rs. 105.00 on 29-Jun-2018.Last one week high and low of the scrip stood at Rs. 127.15 and Rs. 108.20 respectively. The current market cap of the company is Rs. 3118.58 crore. 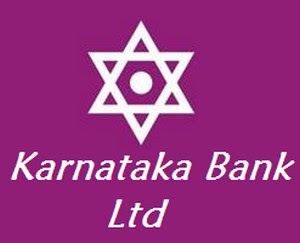 The Institutions holding in the company stood at 26.97%, while Non-Institutions held 73.03% stake in the company.Karnataka Bank has inaugurated its 808th branch at Tumakuru - SIT Campus in the state of Karnataka on July 16, 2018.